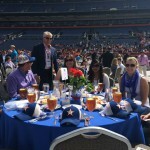 The 2014 Salute the Stars awards luncheon, presented by the Reiman Foundation and FourPoint Energy, was held on Friday, May 2nd at Sports Authority Field in Denver. 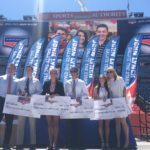 More than 2,800 guests attended the event in honor of remarkable student athletes across Colorado. The luncheon raised more than $410,000 to fund the John Lynch Foundation’s youth programs and scholarship endowment.